First checkup is free of charge. 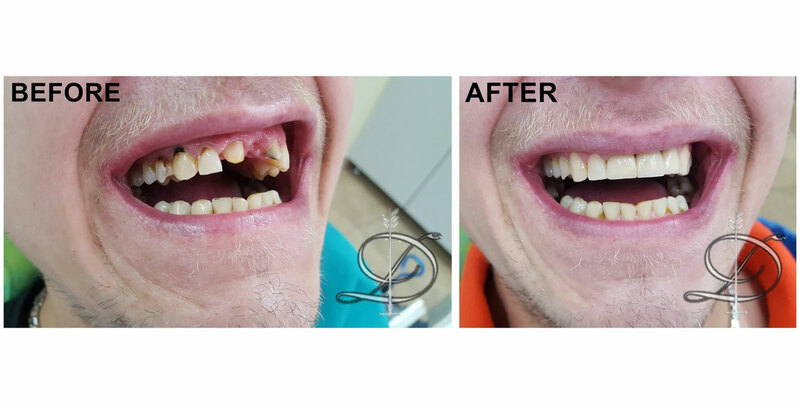 Then you will get all necessary information about your teeth, if there is a need for specific procedure as well as price of our services. Dental practice in the home of Dušan Marjanović’s grandfather in 1934. 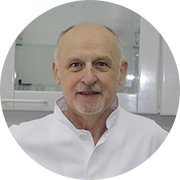 Welcome to Dr Dusan Marjanovic Dental Practice, a family practice with a longstanding tradition of providing care for Belgrade families spanning several generations. Graduated from and specialized at the Belgrade University Department of Dental Medicine. 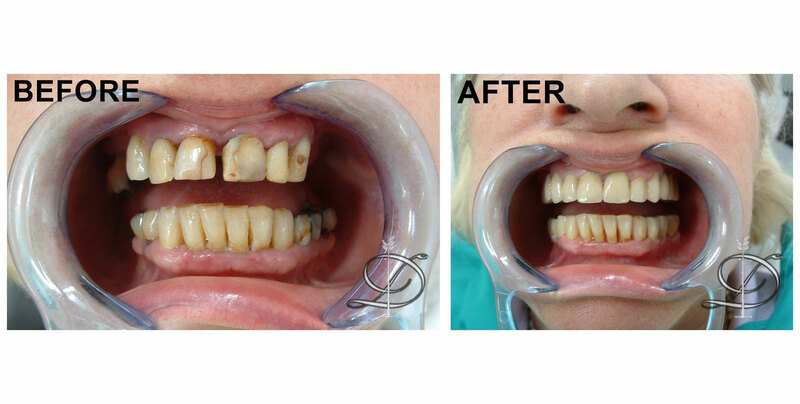 He spent from 1981 to 1982 at the Dental-lab Dr Busser in Germany, completing a professional development training. 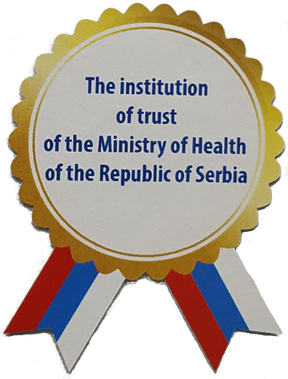 As of 1983, he has worked in Serbian national healthcare organizations. 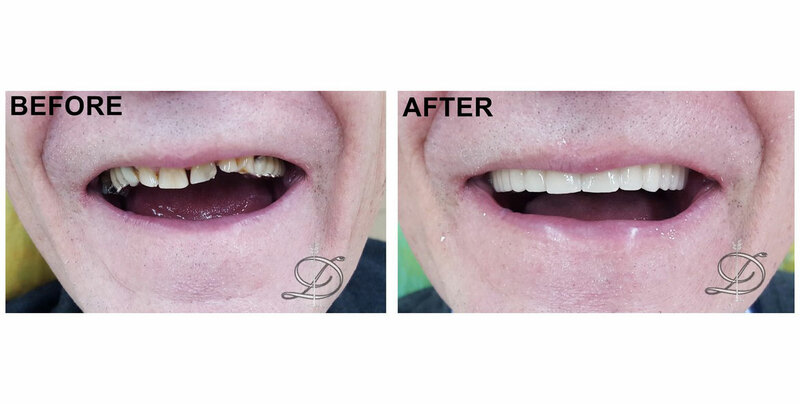 Following the change in regulations in 1987 allowing for private practice, he left the public sector to start a private dental practice Dr Dusan Marjanovic together with his wife, Dr Aleksandra Marjanovic, at 34 Dzordza Vasingtona Street in Belgrade. 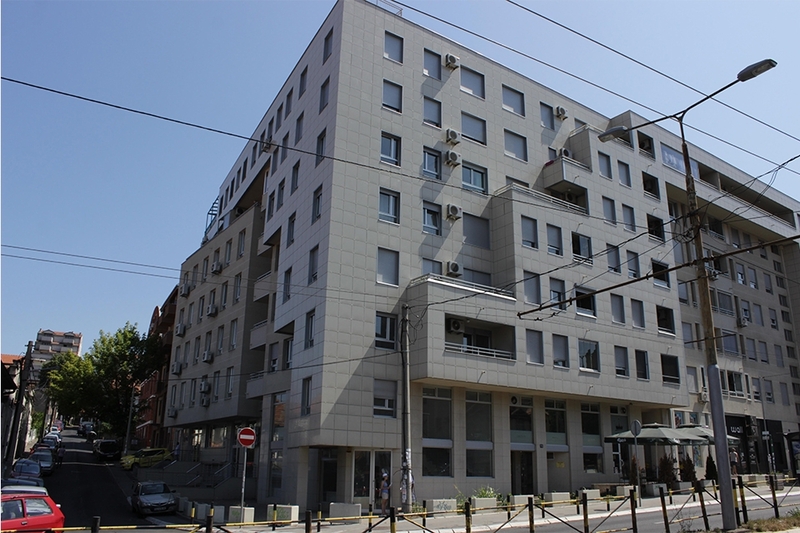 In 1990, the practice relocated to 278 Bulevar Kralja Aleksandra Street, where Dr Marjanovic continued to see his patients until 2012. After undergoing an expansion, the practice moved to 115 Dimitrija Tucovica Street in October 2012, when Dr Jovana Marjanovic joined the family dental practice. 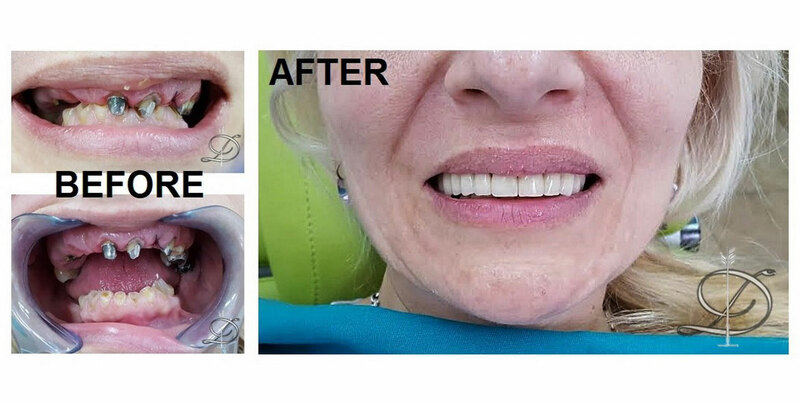 Graduated in 1983 from the Belgrade University Department of Dental Medicine, Dr Aleksandra Marjanovic comes from a respectable family of physicians. Her grandfather, Dr Vladimir Jovanovic earned his Doctor of Medicine degree from the University of Vienna in Austria in 1910, studying under famous Professor Edmundus Bernatzik. Dr Jovanovic owned a private practice in Vienna, and subsequently also one in Pozarevac, Serbia. Dr Aleksandra Marjanovic’s father, Dr Milorad V. Jovanovic was a renowned internist/cardiologist and one of the founders and the long-time head of the Cardiac Patients Rehabilitation Centre in Belgrade, Serbia. Dr Aleksandra Marjanovic’s two daughters, Dr Milica D. Marjanovic and Dr Jovana D. Marjanovic are continuing the family tradition into the fourth generation of medical professionals. 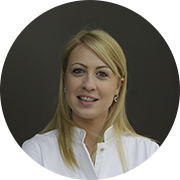 After graduating from the Belgrade University Department of Dental Medicine in 2012, Dr Jovana Marjanovic went on to pursue a PhD in restorative dentistry and endodontology from the same university. 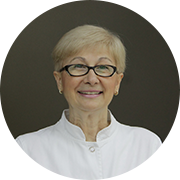 During her studies, she has worked as a teaching assistant in clinical exercises at the Belgrade University Department of Restorative Dentistry and Endodontology. 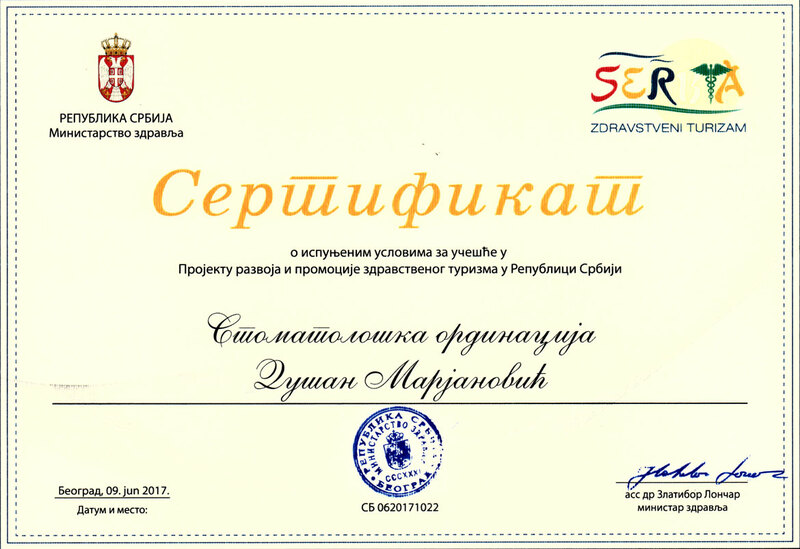 DMSc Jovana Marjanovic earned her Ph.D. in Restorative Odontology at the University of Belgrade Faculty of Dental Medicine in 2018. 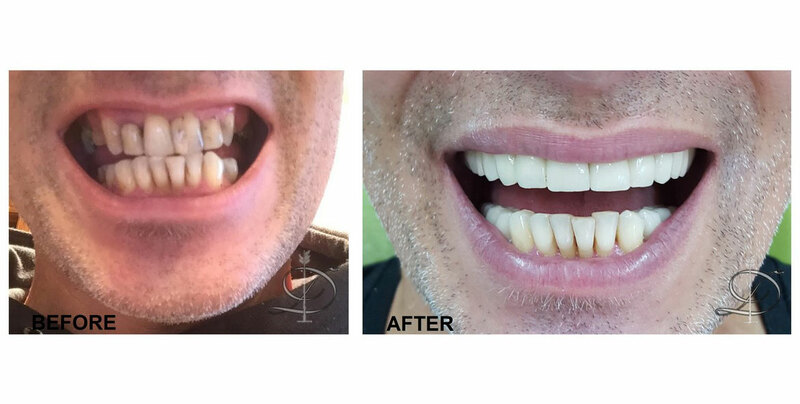 "Dr Marjanović is a phenomenal professional and a true intellectual! I’ve been coming to this practice for 25 years now and I’m very satisfied." 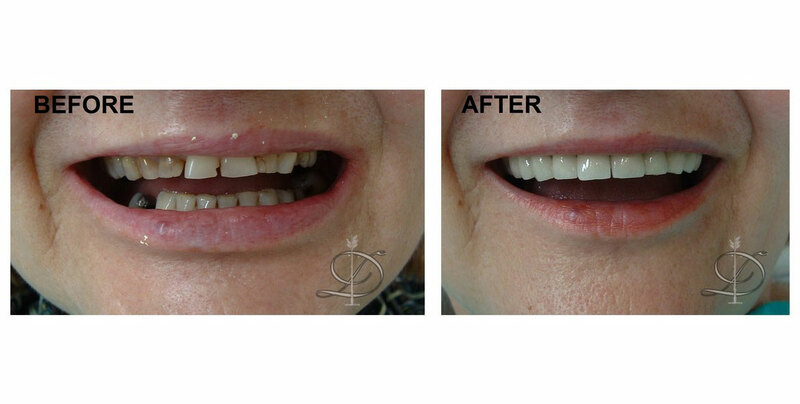 "I’ve been a patient of Dr Marjanović's for 12 years now. 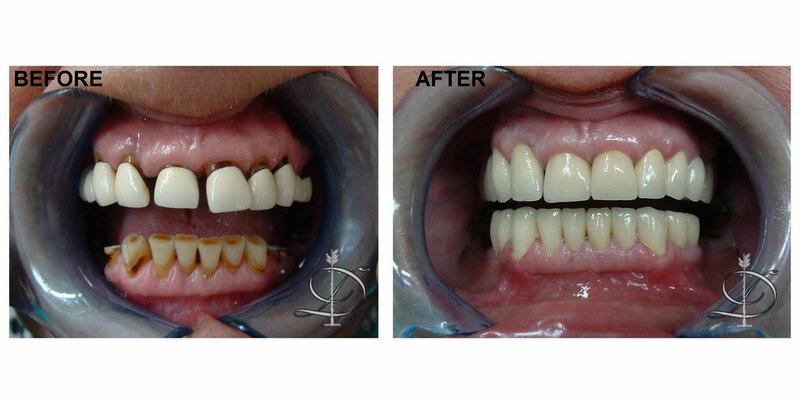 In fact, I was his patient 12 years ago, when he performed a prosthodontic procedure on me. I haven’t had a need for any sort of intervention since. My dentures are still as good as new. I’m very satisfied!" "My entire family and I’ve been treated at this practice for a very long time now and I only have high praise for it. 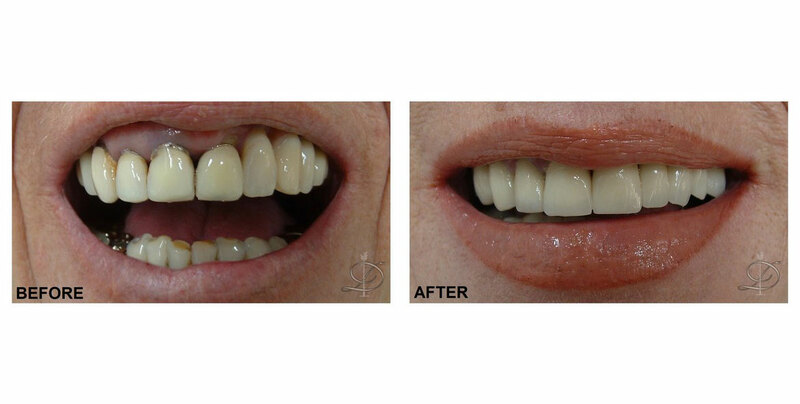 Highly professional doctor, punctual, pleasant, caring, impeccable hygiene… My compliments!" 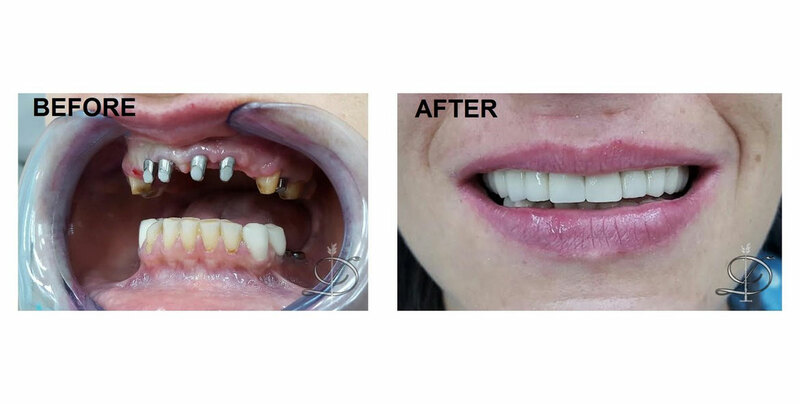 "I feel at ease and I accept the evaluation and recommendations given by Dr Marjanović with complete confidence. This experience has lasted for good 20 years, long enough to pass the test of time. Trust in one’s doctor is every patient’s dream, regardless of their medical condition. 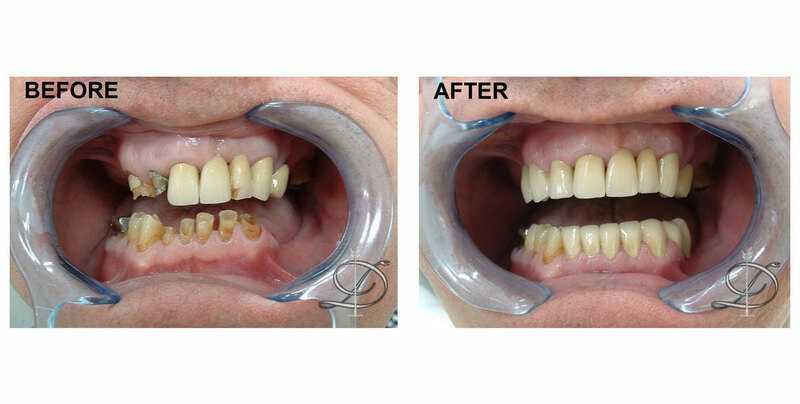 Therefore — if you have any dental issues, visiting Dr Marjanović would be my heartfelt recommendation." "Only the best impressions. First-rate expertise, professionalism, kindness… My full recommendation!" "Profesionalizam at work! Well done!" Copyright © 2015 DentistMarjanovic. All rights reserved.